We eat a lot of burgers in our house. Sandwiches for dinner in general but mostly burgers. I talkin’ a burger about every other week to once a week. I love them because they are so easy to whip up and can be transformed so easily. Guacamole burger (yup that’s a fav), need a good vegetarian burger(? ), I’ve got one that tastes like the real deal, and if you are on a budget I’ve got a recipe that mixes black beans with the ground beef stretch your dollar. And even though I am an old pro at making burgers I get stuck in a side rut (as with most meals). Sometimes I serve potato salad and sometimes I serve baked beans. Other times it is chips and salsa or veggies and dip. But mostly I serve fries: the frozen store bought variety, or homemade ones, and even sweet potato ones. So I was giddy and slightly intrigued when I saw these carrot fries. Now these may sound strange (it took some coaxing to get Eric to try them) but let me tell you they were outstanding! 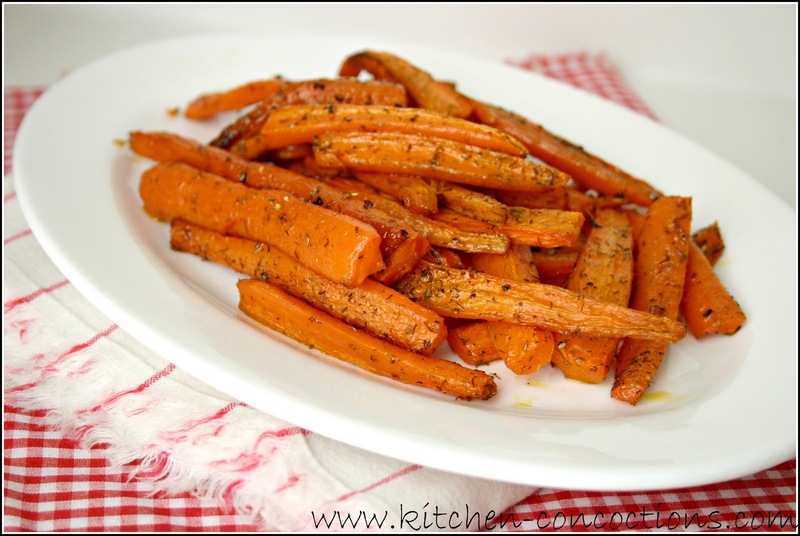 Not only are these carrot fries super easy to make and extremely cheap, they were crispy, yet slightly soft (think sweet potato fries) with a wonderful flavor. The dried dill weed does amazing things and made these fries absolutely perfect. In fact I can’t wait till burger night next week because these are going right back on the menu! 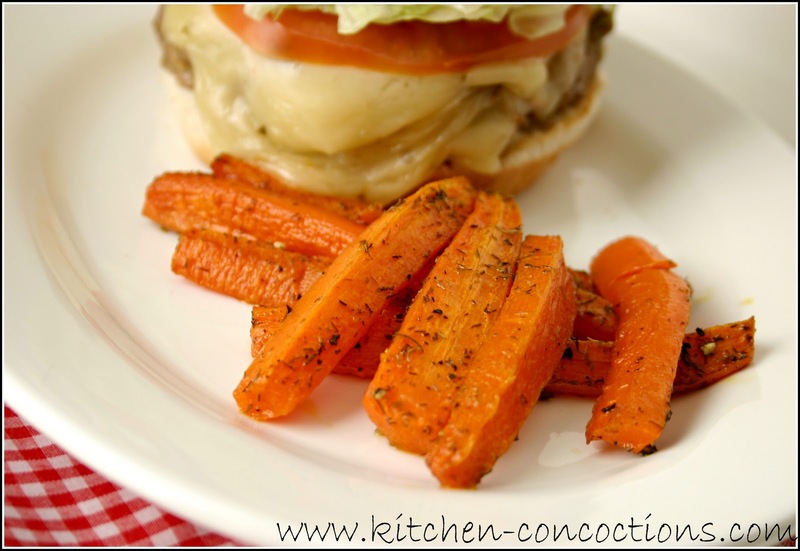 Slice the carrots into french fry-sized pieces and place on a cookie sheet lined with aluminum foil or parchment paper. Melt butter and pour over carrots. Season carrots with the dried dill weed, salt and black pepper. Bake 400 degrees for 30-35 minutes, adjusting cooking time if you want the carrots softer or “crispier”.